The scientists' estimate that 10.5 million people will donate to Lunar Mission One is out of this world. A space mission conceived in Britain plans to crowdfund its way to the Moon in order to learn more about the history of the solar system. Lunar Mission One, which has been in gestation for seven years, is planning to send an unmanned probe to the Moon's south pole. There it will drill at least 20 metres, and hopefully as much as 100, into billions of years' worth of rock, which will give scientists an insight into how the moon and the earth came into being. 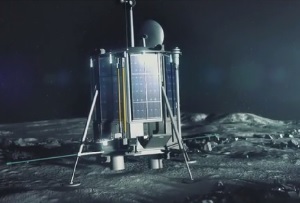 The project launched a campaign on Kickstarter today to raise $1m (£640,000) for the early stages of the mission, which aims to reach the moon by 2024. It is backed by the Royal Astronomical Society, the Open University, the Institute of Education and celebrity physicist Dr Brian Cox. As well as making scientific discoveries, the mission plans to leave a record of humanity in two time capsules beneath the moon's surface. These will contain digital records as well as strands of hair to preserve DNA. The project is certainly enterprising, but its funding calculations also give pause for thought. After the initial Kickstarter phase the plan is to fund the mission by selling space in its digital time capsule for prices ranging from a few dollars to $100+, although some more premium spaces will go for $1,000 or more. Assuming most of the space is sold for the lower end they would need to sell tens of millions of these to reach the projected mid-point revenue of $3bn. To be fair it does acknowledge this and has spelt out plans to professionally market the opportunity around the world. It predicts that 15% of the global population (1.05 billion people) would be able to afford it, 1% of whom (10.5 million people) would buy space in the capsule - which seems staggeringly ambitious. But then again, so is going to the Moon.